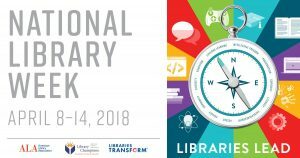 This week (April 8th-14th) is National Library Week. Celebrating its 60th anniversary since its inaugural year in 1958 with the theme “Libraries Lead!”, libraries across the nation will be observing the week with activities, programs, and more. This week also celebrates National Library Workers Day (April 10), National Bookmobile Day (April 11), and Take Action for Libraries Day (April 12). To lead the celebrations is Misty Copeland, author and American Ballet Theatre Principal Dancer, who serves as the 2018 National Library Week Honorary Chair. 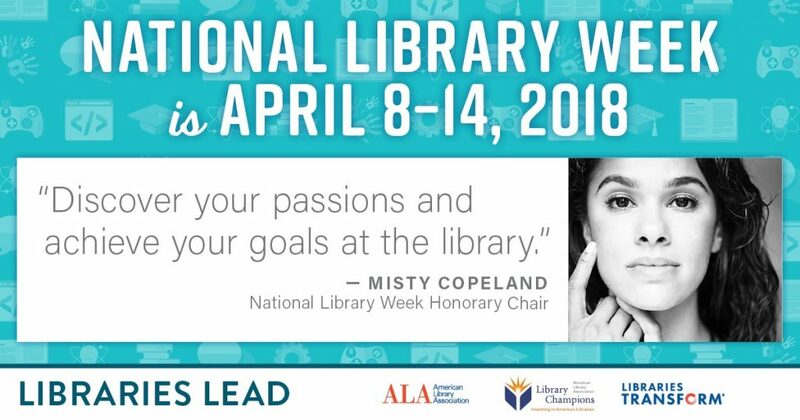 As described on the American Library Association page about National Library Week, Misty Copeland, an advocate for “youth to pursue their dreams regardless of what challenges they may encounter”, invites everyone to “discover your passions and achieve your goals at the library.” (American Library Association). Many of today’s teens spend hours each day online communicating with friends. They visit their online friends in social network sites such as Facebook and Twitter; they share photos and videos via services such as YouTube, Vine, and Snapchat; and they send each other text messages throughout the day – and night – via their ever-present cell phones. In a recent research grant funded by IMLS, we set out to study how public and school libraries fit into teens’ increasingly online information lives, especially when it comes to searching for information. To that end, we collected data through interviews, focus groups, and surveys from two populations of U.S. high school students. One population attends an urban public science and engineering magnet high school which is known for its award-winning integration of technology throughout the curriculum and its 1:1 laptop program. The school enrolls about 500 students, about 30% of whom are economically disadvantaged and 65% of whom are minority students. The second student population attends a suburban public high school located outside of a major U.S. metropolitan area in a different region of the country. About 55% of the students are economically disadvantaged and 75% are minorities. This second school also supports a small science and engineering magnet program within its total student body of about 2500. Our research sample from this school included both magnet and non-magnet students. A total of 158 students from the two schools took part in the study. As a group they were heavy social media users, and the majority had used social media services such as Facebook and Twitter to ask (77%) and answer (61%) questions. 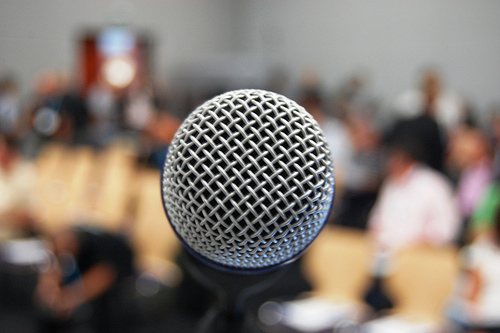 More than half of the participants had asked or were willing to ask questions about 20 common information needs topics, ranging from social activities and entertainment to careers and health information. School was the most common topic they asked about online, with 77% reporting that they had used social media to ask questions about school-related topics such as homework and class scheduling. These findings demonstrate that – contrary to common belief — teens are not just wasting time when using social media. Often they are seeking information and sharing what they know with others. Recognizing that teens are using social media for beneficial uses such as information seeking and sharing can help libraries to better support teens’ information needs. Libraries can develop policies that support teens’ use of social media and consider providing informational content through these outlets. Library staff can also encourage teachers, school administrators, and other adults who interact with teens to consider the value of using social media for information access and sharing. When the email got sent around the bloggers about doing a 30 days of programming, my mind instantly went blank. I’m just a librarian-in-training and haven’t done a lot of hands-on programming with teens. What could I bring to the conversation? Then I remembered I did have a program. A hypothetical one that is. I’m currently taking a Media Literacy for Youth class which has been amazing. One of our assignments was to create either a lesson or program plan about a media literacy topic. It could be targeted to any age group and should last 2-3 hours. We had to write about outcomes, lay out all the activities, essentially plan it so some librarian could do it with the kids they work with. I’ll lay out my idea and then want your feedback. Is this program realistic? Would it work with the teens you work with? And if it’s not realistic, what needs to be changed? As a twenty-something, I would say I’m pretty well-connected in social media. If someone asked what my favorite social media platform is, I would say it’s Twitter. There something exciting about Twitter when you think about it like a cocktail party (shout out to blogger Dave Charest for this analogy) — there are hundreds of conversations going on around you and you decide which ones to tap into. And our teens are using it so why not have a program that challenges them to think about not only how they use Twitter, but how others use Twitter? Instagrams, Tumblrs and Vines, Oh My! Just four or five years ago, I would send out postcards to remind teens of our monthly Teen Advisory Board meeting but today this method of communication would be completely foreign and unfruitful for my purposes. Today, the library, like many other components of a community, is largely an intangible presence existing entirely as mobile communication. Today, I can save the postage and send out a Vine or Instagram to engage my teens up-to-the-hour of a library event. Today, I’m seeing many more new faces at my library events because of my digital presence as a librarian. As Facebook and Twitter intersect with more instantaneous rivals, such as Snapchat, that offer more content options, such as Tumblr, it can be a fun challenge for librarians to keep up with the nomadic sprawl across various platforms of mobile teen connectivity. We learn as we go, break new grounds, we talk with our teens and remember to never reinvent the wheel. By Clair Segal September 2, 2013 August 29, 2013 YALSA Info. CC Licensed Image via Google. 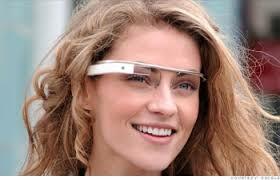 Techbrarian Confession Time: I really, really, really want to try Google Glass. Back in February, when they were choosing betas to â€œgiveâ€ them to (read: offering folks with a compelling enough reason the chance to fork over $1,500), I threw my ring into the hat and prayed my mother would never find out I was willing to pay that kind of money to covertly cosplay as Georgi La Forge and freak people out in public places. Shockingly, Google saw through this facade, and the closest I’ve come to Glass has been trying on a friend’s, and watching cooler folks than I smugly wearing them around Brooklyn. There’s a dilatory part of me that thinks this is all for the best. Bringing a technology like Glass into a school library is a bullet that Lazy!Clair would like someone else to bite first. Is Your New Year’s Resolution to Advance Your Career? By admin January 3, 2013 January 3, 2013 Continuous Learning, New Librarians and Library Staff, News, Teen Services, YALSA Info. If so, then please join us Thursday, Jan 10th from 2 – 3pm, EST, for a free, members’ only webinar in utilizing social media to build your career and help you in your job search.’ The focus of the session will be on practical tips that you can implement in your spare time.’ Reserve your spot via this brief online form, because space is limited! If you are unable to participate in the live session, please know that, as a benefit of YALSA membership, all members will receive a link to the recording in the Feb. issue of YALSA E-News. This event will be facilitated by Courtney Young.’ Happy new year! Is this what they call the dog days? Not for me! This is my first summer living in Boston instead of Tucson, and I’m soaking up the beautiful high-80s temps they call “hot” around here and spending as much time outside as possible. But I did manage to go inside and find a few interesting tidbits for your personal interest and professional usefulness. By Sarah Couri August 6, 2012 August 6, 2012 Advocacy, Continuous Learning, YALSA Info. We are hoping you’ll join us on Tuesday at 1 PM! YALSA President Jack Martin (@JacksonDevious, @YALSAPresident) and I (@scouri) will be leading a Tweet Up about using Twitter in the library. Are you just getting started with Twitter? This will be a great chance to practice your skills! Are you a long-time Twitter veteran? What a great opportunity to share advice and experience! We’ll be using #yalsaprez to mark the conversation, so please find us. Want some guidance on getting started with Twitter? YALSA Academy has just the ticket for you. And if you want to know more about using Twitter at your library, this is your lucky week! The YA Forum will be exploring this very topic today through Friday. Join us for the conversation at ALA Connect!